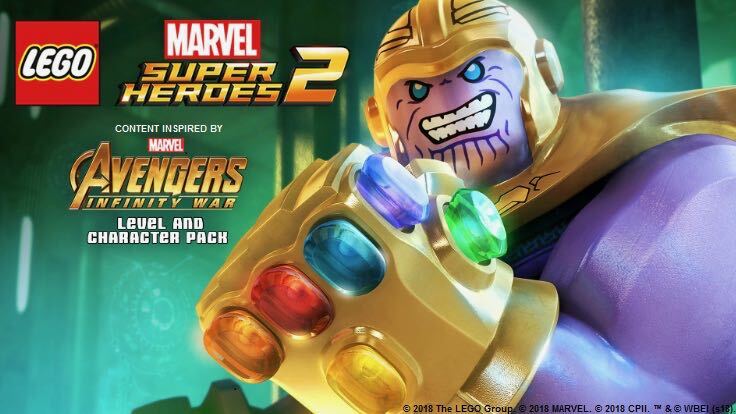 Warner Bros. Interactive Entertainment has announced that LEGO Marvel Super Heroes 2 will be getting the Marvel’s Avengers: Infinity War Character and Level Pack. Available for just $2.99, the DLC adds a level and characters from both the pages of Marvel comics and Marvel Studios’ Avengers: Infinity War. This action-packed level offers players the chance to control Thanos, one of the most dangerous Super Villains in the Marvel Universe, and his ruthless army. The Mad Titan and the Children of Thanos have invaded Attilan to take on Black Bolt and the Inhumans in an all-new original game level. Working as a team, the menacing crew must work their way through the various levels of Attilan before they are given the opportunity to break through to Black Bolt’s throne. New unlockable characters Thanos, Corvus Glaive, Cull Obsidian, Proxima Midnight, Ebony Maw, Hulkbuster 2.0, and Groot (Avengers: Infinity War) are added to the main game’s roster of over 200 Super Heroes and Super Villains. The Marvel’s Avengers: Infinity War Character and Level Pack level pack can be purchased separately or as part of the Season Pass which includes six Level Packs and four Character Packs, including the previously released Guardians of the Galaxy Vol. 2, Black Panther, Runaways, and Cloak & Dagger content, and the Champions, Out of Time, and Agents of Atlas Character Packs. 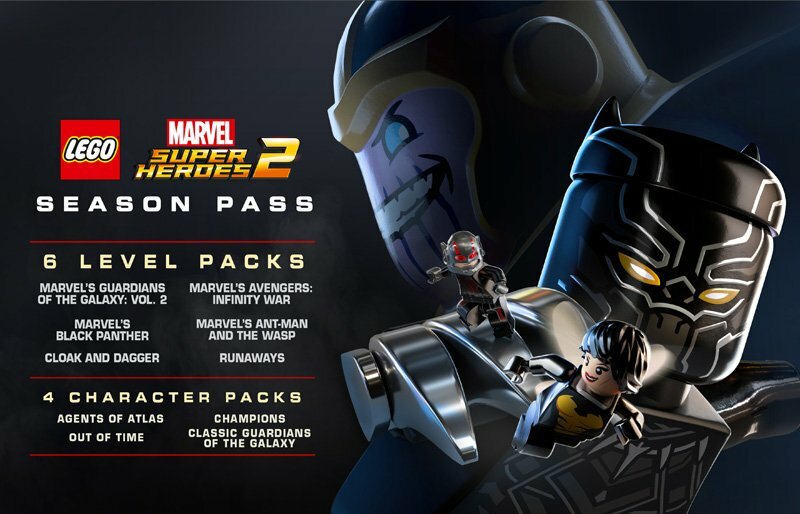 The Season Pass is available for $14.99 suggested retail price or as part of the LEGO Marvel Super Heroes 2 Deluxe Edition, which features the main game, access to the Classic Guardians of the Galaxy Character Pack, and an exclusive Giant-Man LEGO Minifigure (Minifigure only available in the physical version of the Deluxe Edition). LEGO Marvel Super Heroes 2 is available now on PlayStation 4, Xbox One, Nintendo Switch, and Windows PC.